Still haven’t finished your holiday shopping? To make it easy, we’ve rounded up some of the best health-inspired, locally-made gifts that the city has to offer. 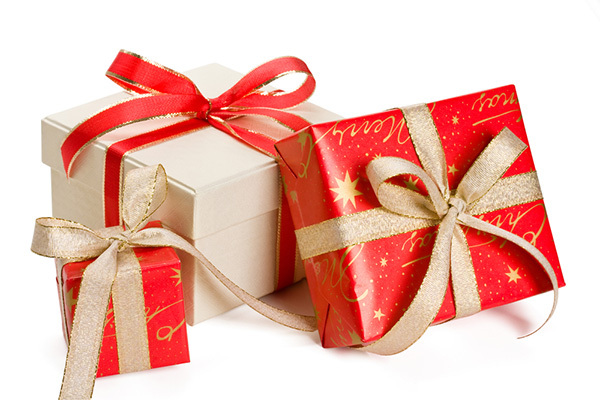 These gifts support your community and satisfy the health enthusiasts on your list. 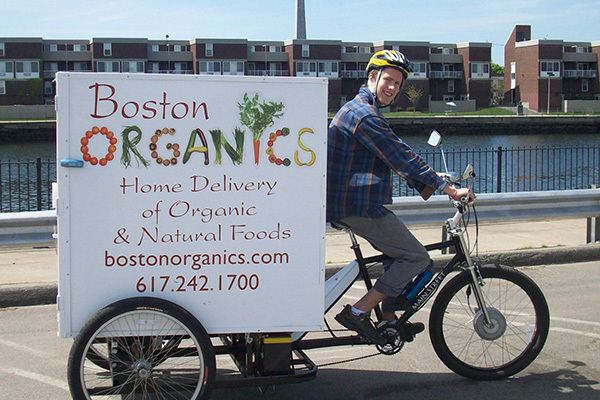 This Charlestown-based company delivers an assortment of produce to your office, home, or dorm room. The produce is always fresh, organic, and sourced as locally as possible with a focus on supporting regional farms. Also, there is no up-front initial cost or membership fee. Can’t stand parsnips? No problem. Each box can be customized with “No Lists” so that parsnips (or any other disliked fruit or veggie) never ends up in your box. Try gifting a prepaid, one-month weekly or bi-weekly subscription to the service for friends or family in the Boston area. This Boston-based company has fun, comfortable apparel for the yogis in your life. 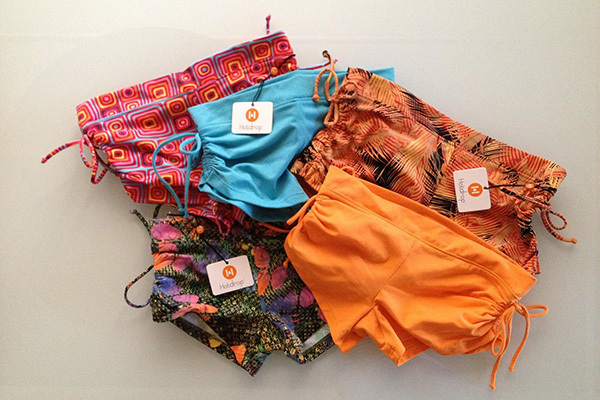 Their signature item, the “Mary” short, was inspiration for the company. The shorts are perfect because if you’ve ever taken Bikram or hot yoga, you know regular clothes just don’t cut it. Breathable, sweat-wicking material is imperative. The line has expanded to include other cute bottoms, tops, and tanks. There are even yoga shorts for men. You can find Hot Drop at a Bikram Yoga location near you or order online. Michael Arsenault created a product that helps people of all ages soothe sensitive skin. Emily Skin Soothers located in Ipswich was originally created for his daughter who was plagued with eczema as a baby. The line has skin soothers, soaps, and other products perfect for keeping dry, winter skin healthy. Arsenault says that the The Super Dry is the perfect gift for the winter. “It is a great winter balm, good for chapped and cracked skin, and windburn. So are the soaps which help with winter dryness,” he says. 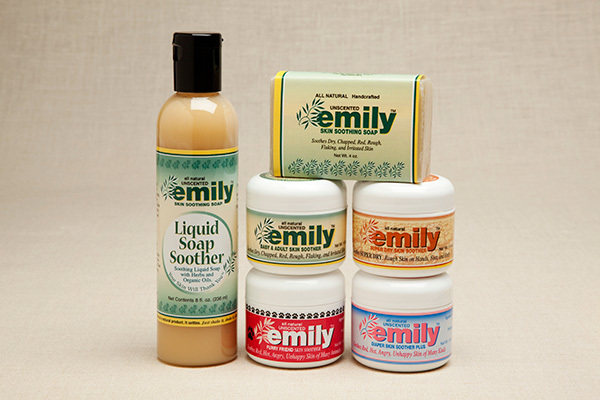 You can find the Emily Skin Care at the Charles River Whole Foods or you can order online. 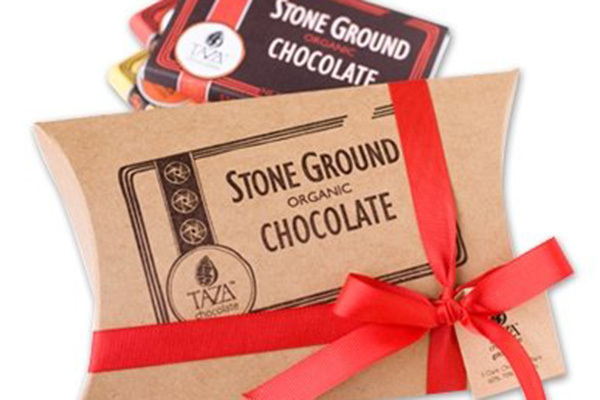 Located in Somerville, Taza Chocolate creates organic dark chocolates full of healthy antioxidants. They have multiple gift ideas including an elegant cigar-style gift box with an assortment of organic stone ground dark chocolate, or their “Oaxacan sampler” which has four interesting varieties of their chocolate. For the full experience, get a chocolate-lovers tour of the factory where you’ll see vintage chocolate making machines and sample Taza’s 100 percent stone-ground, Mexican-style, organic dark chocolate. You can find Taza Chocolates in Whole Foods, online, and in other local markets. 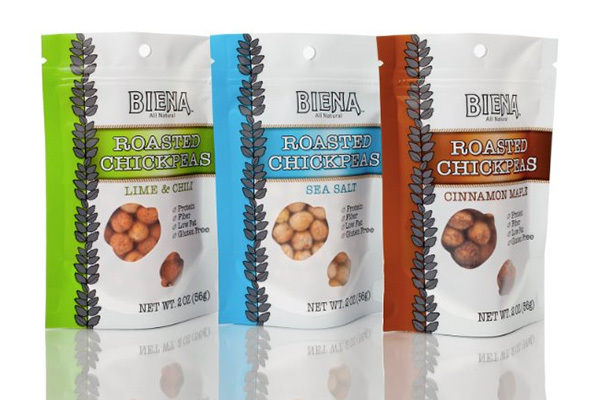 These snacks are crunchy, flavorful, and packed with fiber, vitamins and minerals, yet aren’t greasy or full of artificial ingredients. The three flavors (cinnamon maple, lime & chili, and sea salt) have just three to five ingredients. A sampling of all three could make a nice stocking stuffer or part of a healthy, college-care package. The best part? These snacks are founded by local entrepreneur, Poorvi Patodia. You can find them at stores around Boston or purchase online. Have you tried any of these products? What is your favorite?